Did you know we have both an A5 ring bound planner and a standard Travelers journal inspired by Julie Nutting and her creative mixed media dolls. 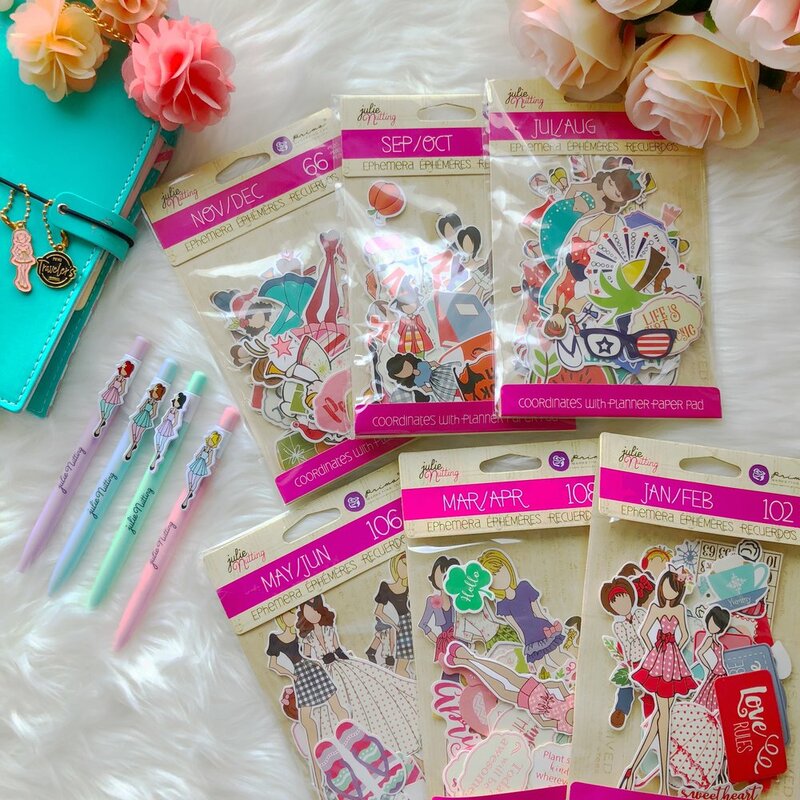 Julie nutting has a big range of product that can be used in her planner and her travelers journal from: ephemera pieces, stickers, pockets, sticker notes, stamps, papers, pens and much more! Julie Nutting has monthly themed ephemera packs with matching paper pads for you to be able to coordinate with your monthly spreads. Project Photo credit to Design team member Jomelle @xoxo_jomelle.